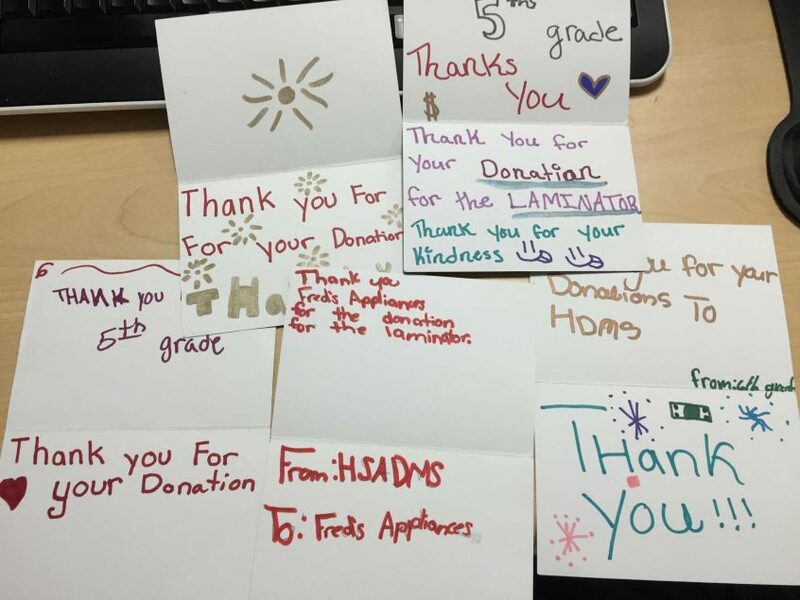 Donorschoose.org and their students say thank you! Fred’s Appliance Service was fortunate enough to be able to donate towards Ms. Cox’s “Engaged Learning” project. Our office received a very welcome thank you package from students that were directly affected by our donation. Check them out above!